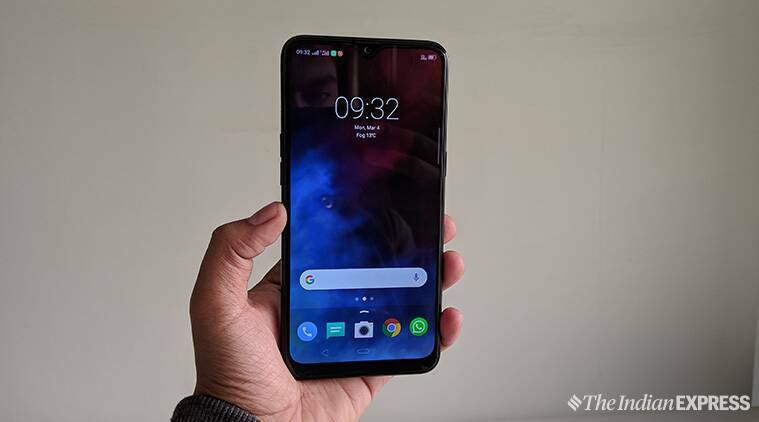 Realme 3 vs Redmi Note 7 vs Samsung Galaxy M20: A comparison of price and specifications of the three budget smartphones that were recently launched in the Indian market. 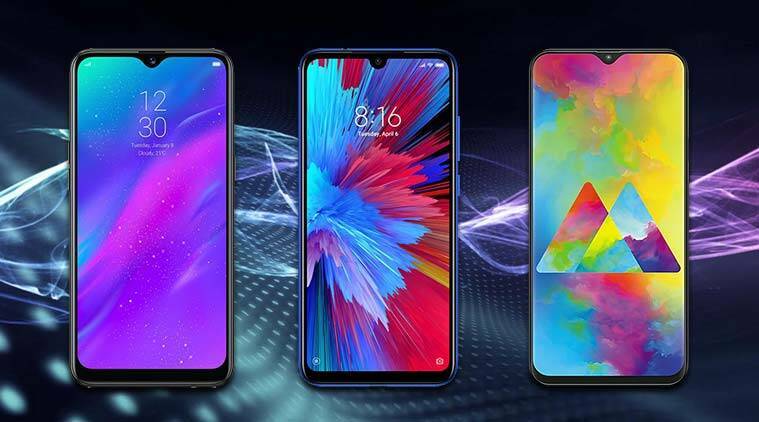 Realme 3 vs Redmi Note 7 vs Samsung Galaxy M20: Here is a comparison of prices and specifications of the three phones. The past few weeks have seen a number of smartphone launches, especially in the budget category. 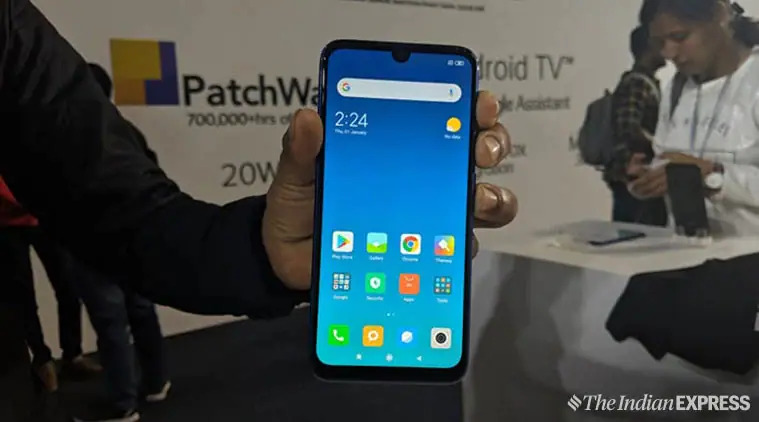 Samsung, Xiaomi’s Redmi and Realme have all introduced new phones with big batteries, dual-cameras at the back all priced in the Rs 10,000 or closer price segment. While Realme 3 will go to sale from March 12 at 12 noon on Flipkart, the Redmi Note 7’s next sale is on March 13. 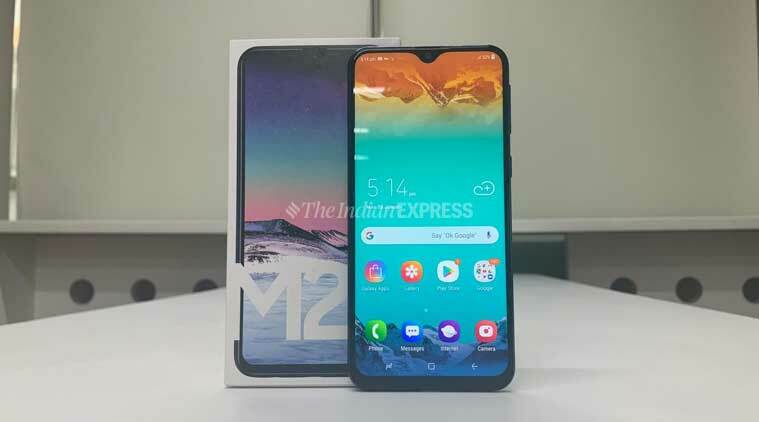 The Samsung Galaxy M20 will go on sale on March 12 as well on Amazon India and Samsung’s own online store. All three phones — Realme 3, Galaxy M20, and Redmi Note 7 — have similar features and the prices are also more or less similar. Here’s a comparison of the three phones. Realme 3 is priced Rs 8,999 for 3GB/32GB storage variant and Rs 10,999 for 4GB/64GB storage variant. As already mentioned, the first sale of the device will take place on March 12 on Flipkart. Redmi Note 7 is priced a little higher at Rs 9,999 and Rs 11,999 for 4GB/32GB storage variant and 4GB/64GB storage variant respectively. It will go on sale in India on March 6, 2019, via Flipkart, Mi.com and Mi Home stores. The price of Galaxy M20 is the highest between the three. It is available for Rs 10,990 for the 3GB/32GB storage variant and Rs 12,990 for the 4GB/64GB storage version. Samsung Galaxy M20 is on sale through Amazon.in and Samsung’s website. Realme 3 features a 6.2-inch HD+ display with dewdrop notch, 19:9 aspect ratio and Corning Gorilla Glass 3 protection. Redmi Note 7 has a slightly bigger 6.3-inch FHD+ dewdrop notch display with 19.5:9 aspect ratio and Corning Gorilla Glass 5 protection. Samsung Galaxy M20 has a 6.3-inch-inch FHD+ SAMOLED Infinity U display. Realme 3 has dual camera setup of 13MP+2MP with f/1.8 aperture at the back, whereas Redmi Note 7 has a 12MP+2MP dual camera setup with f/2.2 aperture and Galaxy M20 has a 13MP+5MP rear camera with f/1.9 aperture on the back. For the front camera, Realme 3 and Redmi Note 7 both sport a 13MP selfie camera with f/2.0 aperture whereas Galaxy M20 sports an 8MP selfie camera. Realme 3 is powered by 12nm MediaTek Helio P70 processor with multi-core APU, clocked up to 2.1 GHz. Redmi Note 7 is powered by 14nm Qualcomm Snapdragon 660 octa-core processor paired with an Adreno 512 GPU. Samsung Galaxy M20 is powered by company’s own 14nm Exynos 7904 octa-core processor paired with Mali-G71 MP2. Realme 3 and Redmi Note 7 run on Android 9 Pie with their individual custom skins on top. Realme 3 runs ColorOS 6.0 and Redmi Note 7 runs MIUI 10. Samsung Galaxy M20 runs Android 8.1 (Oreo) with Experience 9.5 on top. Among the three phones, Galaxy M20 has the biggest battery. It sports a 5,000mAh battery, Realme 3 sports a 4,230mAh battery and the Redmi Note 7 sports a 4,000mAh battery. While Redmi Note 7 and Galaxy M20 offer fast charging via Type-C USB, Realme 3 lacks both these features. Realme 3 and Galaxy M20 sport a dedicated MicroSD slot for extra storage. Redmi Note 7 has a hybrid slot for MicroSD card. All the three devices sport a rear-mounted fingerprint sensor.